Hearing aid design hasn't changed much in the past century. 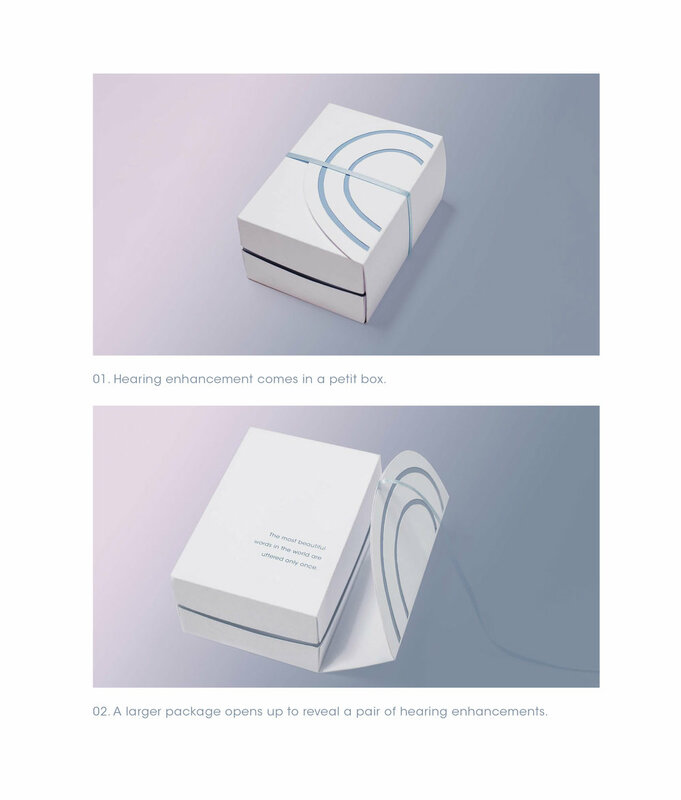 With the staggering number of people that actually need them and all of the advances in new technology, we wanted to design a hearing aid that was fitting for the modern man or woman. As a brand extension for the high end speaker brand Bang and Olufson, Eunoia is at the summit of design perfection and sound quality. A device that effortlessly balances life and art with superior sound quality. 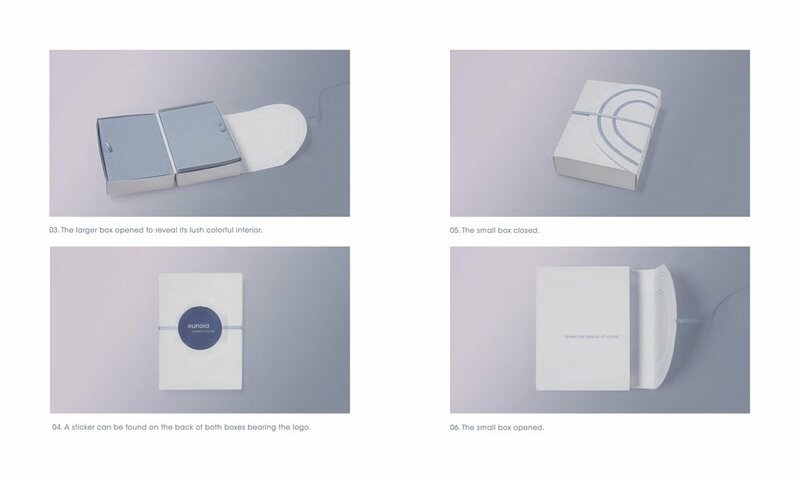 The curves of the box are inspired by the logo. The website is both functional and luxurious. Presenting the Eunoia assist, a multi-functional app that allows you to regulate volumes for multiple listening environments and pair it with other devices. The print is utilized to communicate the idea that the product is where art meets sound. The print would run in fashion magazine, like NYTimes Style. Through the use of spotlight audio, we will create an interactive experience for users. They are prompted to step into the circle and upon doing so the world around them begins to sound fuzzy. After a few seconds, the sound would then become clear again with a voiceover introducing them to Eunoia. This will be placed in high-end malls and hotels.